Medical Mission initiated by the S.P.G. at Nazareth, Sawyerpurm, ldaiyangudi and Nagalapuram has been found most rewarding. In the early years when medical facilities provided by the Government were meager and inadequate, these hospitals eminently served the community. St. Luke’s Hospital, Nazareth has kept on with the march of modern medicine. 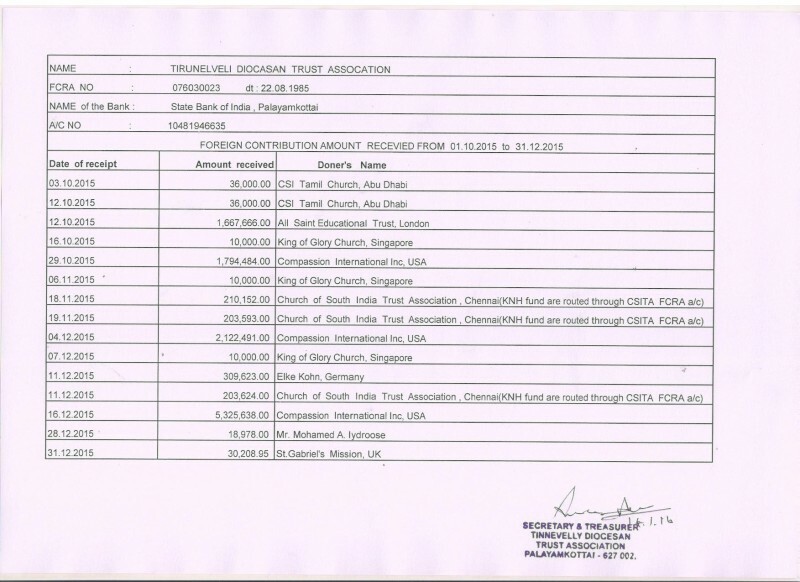 Its phenomenal growth was during the stewardship of Dr. R. Vedabodagam. when several new wards – mostly gifts of grateful patients – were erected. In recent years a huge Extension Project was completed with the aid of the Protestant Central Agency for Development Aid, Bonn, Federal Republic of Germany. With several additional buildings, an air conditioned operation theatre and intensive care unit, sophisticated equipment and highly qualified medical personnel, the hospital is much sought by the community several miles around. 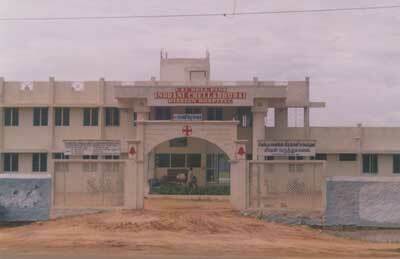 A significant development out of this hospital is St. Luke’s Leprosarium at Peikulam (Estd. 1956) which has grown to be one of the foremost of its kind in the whole of India. 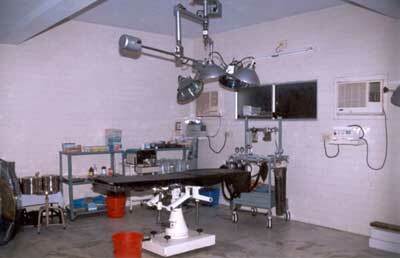 Recent additions to the medical ministry are the Hospitals at Maruthakulam, Tuticorin and Melapalayam. All these hospitals are manned by competent and dedicated medical staff, with whom alone they can fulfil the purpose for which they were founded. 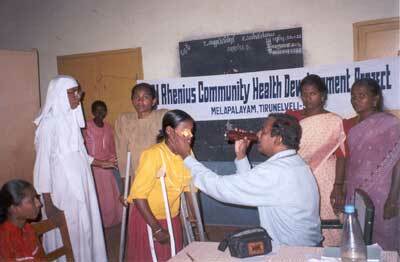 The CSI Rhenius Community Health and Development Project at Melapalayam is a comprehensive health care and socio-economic programme of the CSI Tirunelveli Diocese, providing preventive and curative health care to the multi-faith community and marginalized people with the active participation of the local community, support of government agencies, voluntary organizations and the church. Melapalayam is in the district of Tirunelveli and a suburban part of the Tirunelveli Town. 80% of the population are Muslims while the rest are Hindus. Christians form a very small minority. Majority of them are economically backward. Their general and hygienic conditions are not good and the standard of health is low. The project is also serving 2 small villages Omanallur and Sadaiammankulam 10 and 33 km away from the main clinic in Melapalayam respectively. These two villages are visited twice a week. The project is run by a small team of 2 multipurpose health care workers, 1 social worker, 2 paramedical workers and a medical officer in charge. 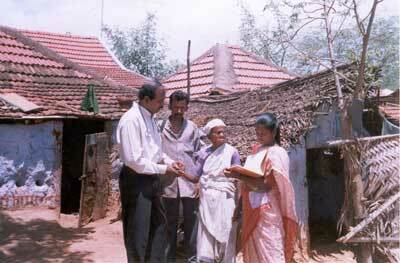 leprosy clinics are conducted. Health education is given. Necessary articles like quilts and blankets are distributed to the needy. The project proposes to extend its service to 7 more villages by forming one more mobile medical team.